One morning towards the end of last year some time, I skipped in to my garden as usual through the little picket gate and pulled up short. In front of me was not a delightful scene of bucolic beauty and calm productivity: but a pile of multicoloured plastic. I have no idea why I hadn’t been able to see it before. There were teetering stacks of pots and empty compost bags; the greenhouse was festooned with bubblewrap plastic; plastic trays held my overwintering seedlings (themselves in module trays and pots of green, black or orange plastic). I looked down to the other end of my garden and it was almost as bad: cloches covered in clear polythene over bright blue hoops of plastic plumbing pipe; winter veg studded tombstone-like with white plastic plant labels and shrouded in plastic-coated insect-proof mesh; and empty veg beds neatly mulched with compost but then covered in sheets of black plastic to protect them from the winter wet. It could be worse: luckily I don’t favour green plastic pea netting, or plastic ties for my plants. I tend to use wooden and metal tools rather than plastic ones because they last longer and are generally better made; but having said that, many of the impulse buys I’ve made in an emergency after losing yet another hand fork in the compost bin have plastic handles. How did such a sea of plastic leak into our gardens? There was, I assume, a time when plastic was completely absent: I’m picturing a time of terracotta pots and slate labels, teak-handled tools and wooden plant trays. I think this is actually the fantasy garden we still picture in our heads: but the reality in the 21st century is so very different. I hate the look of plastic: it looks cheap, and tatty, and artificial, the colours clashing and blaring next to the gentler greens and browns of nature. And I really, really hate what it does to the environment. I won’t start to lecture you here about the horrific sea of microscopic plastic pellets killing everything from fish to albatrosses in the Pacific Ocean; it is headed our way, too, as the fish we eat are increasingly infested with micro-particles of plastic too. This is not one of those big issues we can’t do anything about and just serve to upset us, like climate change, the Syrian war or the continuing existence of Katie Hopkins. Actually, we gardeners are contributing, very directly, to the problem. I’d just like you to consider that the split plastic pot you threw out with the rubbish today will still be in the world when you are long dust. In fact it will still be languishing in some landfill somewhere when your grandchildren’s grandchildren have grown into adults and have children of their own. It takes an average of 450 years for hard plastic to decompose. Just think about that for a minute. I can’t even imagine what the world will look like in 2467. Or to put it another way: a theoretical plastic pot thrown away (as it would never have been, as they didn’t then exist) by a gardener in the 16th century, when Elizabeth I was on the throne, before Shakespeare, before John Tradescant was even born, would only just this year have fully decomposed. I do not want to be a part of this. It horrifies me that I have sleepwalked into such a state of affairs: when gardeners, who are closer to the earth and more aware of and able to tend to its needs than anyone else, should contribute so unthinkingly to its desecration. So: this year I have made a new resolve. I will not buy a single thing for the garden which contains plastic. I will use what I have – as it seems a bit counterproductive to chuck it all out and so fill even more landfill with it – but I will not replace what breaks with more plastic. And I will start to think really deeply about how I use plastic in the garden: what alternatives there might be, and whether I can adjust what I do so that I garden more gently upon the earth. I know it’s not going to be easy: I’ve done a little tentative experimentation over the last few weeks and it’s underlined for me just how dependent we have become on what is, undeniably, an incredibly useful material. Where I can’t find a replacement for plastic, I’ll see if I can find a recycled plastic alternative. 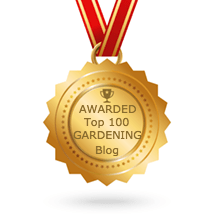 I hope to build everything I find out into a resource on this website, on a separate page, where I will pull together my thoughts and discoveries along with listings for suppliers and manufacturers who are producing stuff for the garden which doesn’t involve using plastic. With luck, it will be useful to other gardeners who don’t like the piles-of-plastic-pots look; at the very least, it should make my garden look a bit prettier. I welcome any input from anyone who wants to join in. If you know of a good supplier, a technique, ideas or campaigners who might benefit from being included here I’d love to hear about them. Please post below or get in touch via Twitter (@sallynex) using the hashtag #gardeningwithoutplastic. Thanks!